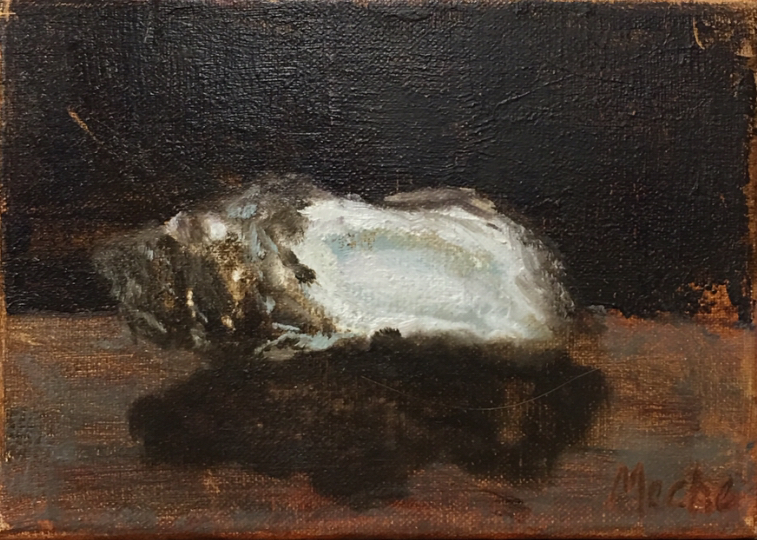 This is one of the simplest oysters I have painted. The darker colors remind me of the Old Masters palette which I like. Has nothing to do with water nor as colorful as previous Oysters but that's Ok. Some days are good for painting. This was one of them. I had a clear vision. The color values came quickly. And Voile'. It was done & am happy.